Greetings again from the darkness. This is the perfect Film Festival movie: low budget, recognizable star trying something new, up and coming director, and potential star in the making newcomer. While it has an air of familiarity, there was enough here to make it one of my favorites from the 2014 Dallas International Film Festival. Writer/director Kat Candler has a real feel for creating real moments for characters, as she expands her 2012 short to feature length. She was also wise enough to nab cinematographer Brett Pawlak, who did such a great job with Short Term 12 (one of my top six films of 2013). The blue collar life gets a twist here as Aaron Paul (on top of the world after “Breaking Bad“) plays an alcoholic, emotionally-distant, grieving widower having to deal with his two sons when he can barely make it through a day. This is certainly a different kind of role for Mr. Paul, and he shows real depth with minimal dialogue. 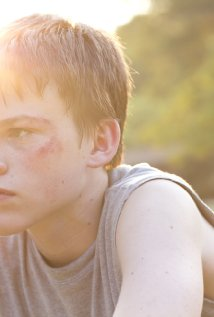 As impressive as Paul is, the real find here is young Josh Wiggins as Jacob. It’s his first screen role and he absolutely owns the role of the big brother lashing out at his dad, corrupting his little brother (due to jealousy) and dealing with things that kids his age shouldn’t have to. Not to give away much, but one too many incidents leads to a visit from Child Protective Services, and just like that … the family is torn apart again. The real guts of the story is the parallel paths of father and son as they react to the displacement of little Wes (Deke Garner). Neither seems to fully accept the role they played in this mess, but both carry sorrow and anger the way males often do. Both pursue their own idea of proving something to Wes and to themselves – in very different ways. Juliette Lewis seems a bit out of place as Paul’s sister, and is the only minor misstep in the script. We needed either more on her, or less. Rural Texas and the challenges of youth are captured through so many details, and the realistic feel of dialogue and setting certainly stands out here … as does the spot on camera work. 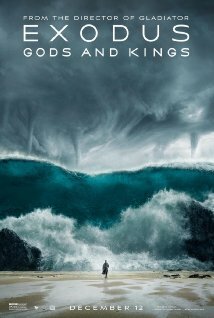 This is one of the little movies I am really rooting for, because if it gets a chance, many will share my appreciation.